Lauren: For starters, what can you tell us about you and your company? Tanner: Apto was conceived and designed by commercial real estate veterans who understand how technology can help win business and close deals. We’ve been in business since 2012 and have been laser-focused on commercial real estate from the beginning. 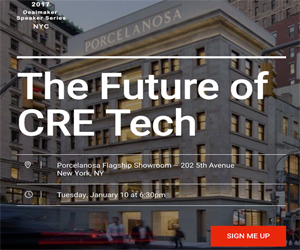 Now, brokerages of all sizes, including 6 of the top 8 CRE brands, rely on our software to cultivate more profitable client relationships, make smarter business decisions, and efficiently manage their operations. L: Congrats on being a 2015 RETA winner for Best Real Estate Mobile App! What advice can you give to others on what it takes to be a winner? T: It may sound cliche, but we always try to think of the end-user, the broker, in everything we do. From product development to sales to support and customer success, everything we do is to support our client’s needs. The reason for our existence is to make brokers’ lives easier. And in order to know what brokers want, you have to ask them! We strive to constantly ask for feedback from our customers and then put that feedback into action and back into the product. L: What are some of your favorite mobile apps on your phone right now? L: What do you think will be the biggest mobile trend of 2017? T: Optimizing your website and marketing content for mobile will no longer be optional. It’s a must-have for any digital content. We’ve already reached the tipping point where more people view digital content on mobile than on desktops. Companies that weren’t already ahead of this trend will need to adapt.